Ford made 60,000 fewer F-150s in the first quarter of this year than it did last year. CFO Bob Shanks says model changeover led to the lower output of the pickup, which had an impact on the automaker's profit. Ford Motor Co.’s first-quarter earnings report is a reminder that the redesigned F-150 is still made of the same thing it always has been. Ford CFO Bob Shanks said the automaker could have earned at least $1 billion more in North America if it had built the same number of F-150s and Edge crossovers as in the first three months of 2014. 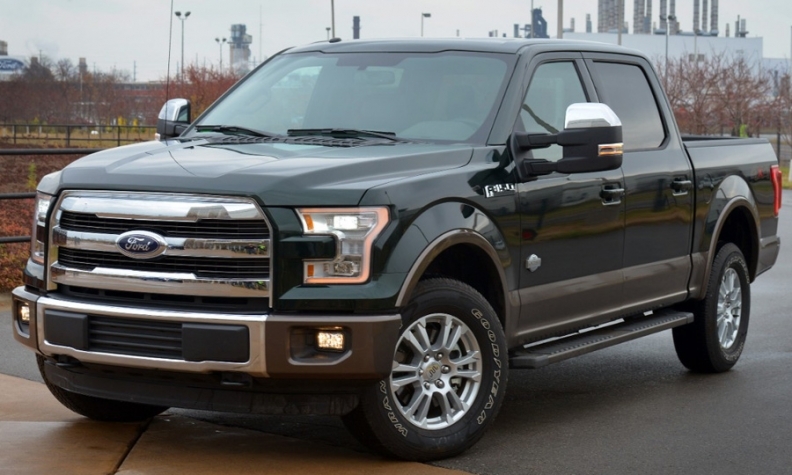 Instead, production of those two nameplates was down more than 40 percent -- 60,000 fewer F-150s and 15,000 fewer Edges -- because of the model changeover. In other words, slower production of just two nameplates out of 22 in the lineup translates to missing out on $1 billion in pretax profits in just 90 days. Now, at the risk of doing some unsupervised math here, I’ll take a cue from Ford and “go further” with these numbers. If a loss of 75,000 units cost Ford more than $1 billion in profits, that works out to an average profit per vehicle of -- let’s see here … carry the four … simplify the denominator -- $13,333. And remember, that number includes about 15,000 Edges, which aren’t nearly as profitable as F-150s, so the average for the pickup by itself would be even higher. That’s just a very rough figure, but it’s a much better idea than automakers usually give about the profitability of an individual nameplate. In 2012, Morgan Stanley estimated that 90 percent of Ford’s global profits come from the F series, and it’s easy to see how that could be true. The numbers also make clear what a gamble it is to fiddle with the F-150 in any way, much less to overhaul it the way Ford just did. The revamped truck has only been on the market since December, but executives today said they have already seen enough evidence to show that its contributions to Ford’s profits will be at or better than their expectations for it. Naturally, shares of Ford stock declined after word got out that the F-150 is making A Lot of money because the automaker did pretty much the worst thing an automaker can do, short of merging with Daimler, which is to miss analyst expectations. Ford CEO Mark Fields had the nerve to let his company fall 3 cents short of what analysts were expecting, even though 2 of those 3 cents were because the analysts were expecting Ford to pay less in taxes. Even worse, Fields then failed to distract shareholders from this financial faux pas by tweeting about rockets, as a more experienced automotive CEO would do. In the long run, though, Fields should be OK. He may not have any rockets, but he’s got a truck making sky-high profits.